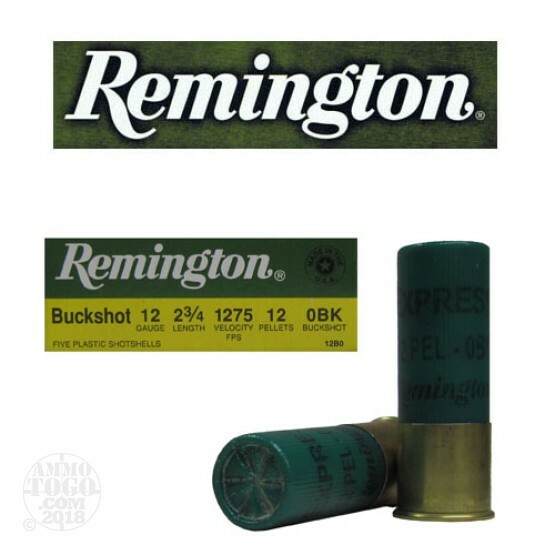 This is 12 Gauge Remington 2 3/4" 12 pellet 0 Buckshot Ammo. 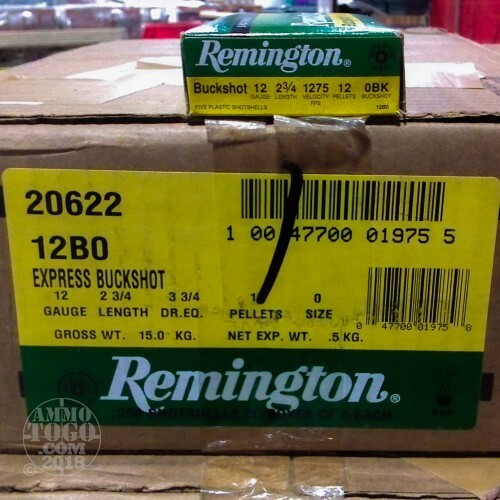 This is one of the great values in shotgun deer loads. A combination of heavy cushioning behind the shot column and a granulated polymer buffering helps maintain pellet roundness for tight, even patterns. Packed in 5rd. boxes. Muzzle Velocity 1275 fps.